The Soho Hotel London – WHERE'S BRENT BEEN? Just two nights in London this time around… and it was straight to the fabulous Soho Hotel in London for some hip London glamour. This hotel just gets better and better – a pumping bar and restaurant, a gym, screening rooms, a spa retreat, beautiful rooms (featuring new suites, all exclusively designed by Kit Kemp) and a central location on a secluded Soho street make this hotel a winner. This is the perfect A-Lister hideaway in London. I was allocated one of the top floor Penthouse suites, room 500 – and it’s so chic it hurts. An enormous sitting room and bedroom with walls upholstered the most perfect shade of pale blue/green and decorated in Kit Kemp’s signature fresh English style equals suite perfection. This particular suite also features the new bathrooms featuring stand alone zinc baths for some high-end private bathing. Floor to ceiling warehouse windows run the length of the suite allowing access from both the sitting room and bedroom onto a large terrace. It’s bold and glamorous and perfect. Breakfast service and variety in the hotel’s restaurant Refuel is spot on – nothing is too much trouble to prepare (avocado on wheat toast with two poached eggs “medium” and a side of sausage for me) and the muesli yoghurt parfait is a Firmdale signature – it’s like having dessert for breakfast, go on… you’re on holiday! A walk around Notting Hill – taking lunch at Daylesford (go for the free range burger), then a stop at Ottolenghi for some sweet surprises… before some serious retail therapy at my favourite men’s store, Orlebar Brown (I’m featured up on their “OB’s Around the World” polaroid wall right now – see if you can spot me!). Finish with a walk through Kensington Gardens and there you have one perfect day in London! A huge thank you to Craig Markham from Firmdale Hotels and Anna Jackson from The Soho Hotel for organising every little detail of my perfect stay. I can’t wait to return… my only wish is that I could have stayed longer. For bookings at any Firmdale hotel in London or New York… contact me today. 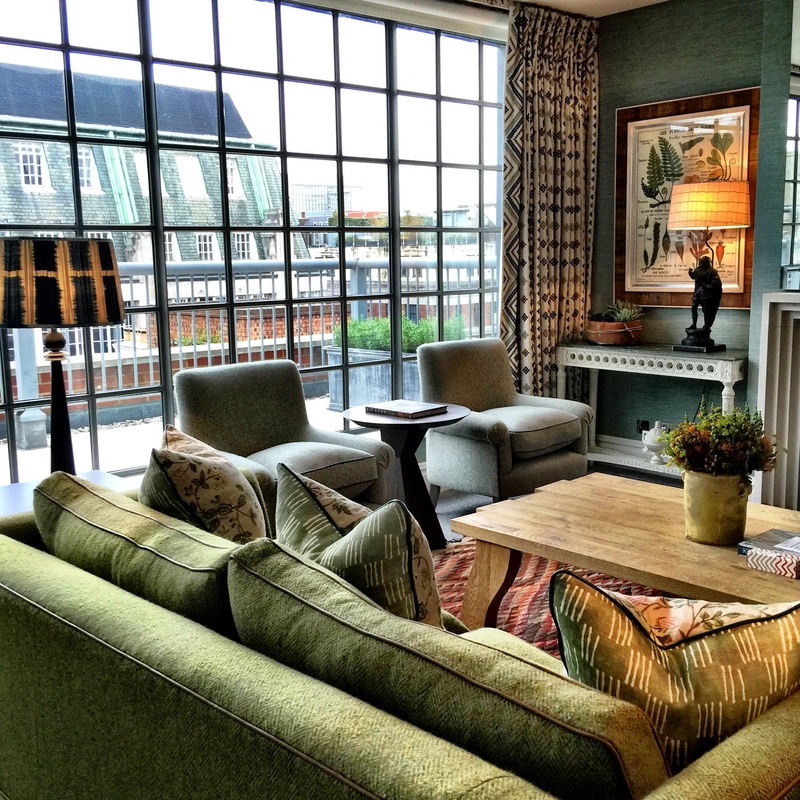 HOT TIP: Firmdale’s second hotel in Manhattan ”The Whitby” opens in 2016… I can’t wait!